This screen will display your Username circled below in red. So if you don't remember you username, this is where you'll retrieve it - there's no need to contact us for username retrieval. 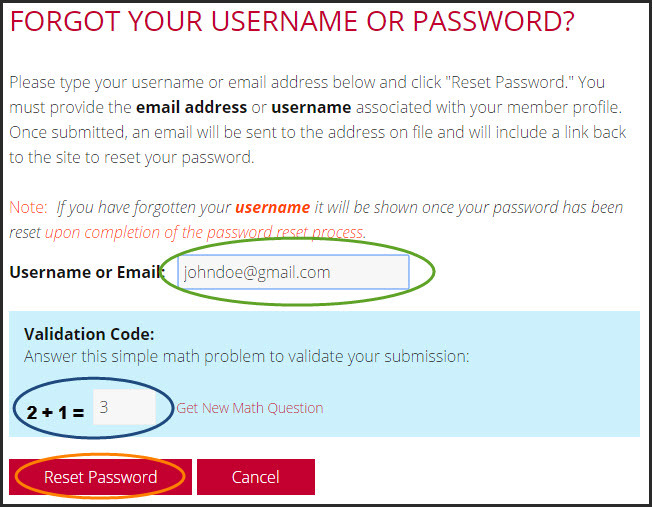 Contact us by e-mail if you're still unable to Sign In or retrieve your Username and Password with the procedure above. Or call us at 1-866-483-5056.